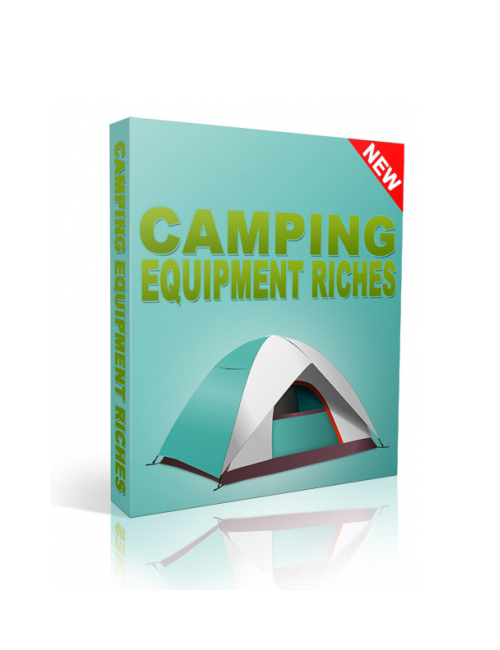 Camping Equipment Riches is a fantastic resell rights video in the hot to trot top niche of camping. What an awesome niche to sink your claws into. Making money online is anything but easy and this easy to follow video delivers everything you need to know about how to tap into the money in camping and explode. It’s all about understanding the top strategic marketing strategies that enable you to tap into your target market and make the money you deserve. You will become a qualified expert quickly in the camping niche first, then the doors of opportunity will open wide for you to run through if you like. Affiliate marketing is everything today online and this means you are in the right spot to build. And building ASAP is what this electrifying video is all about. Camping Equipment Riches is your solution to tapping successfully into a solid online money stream if that’s your cup of tea. Get started today with a VERY smart purchase!